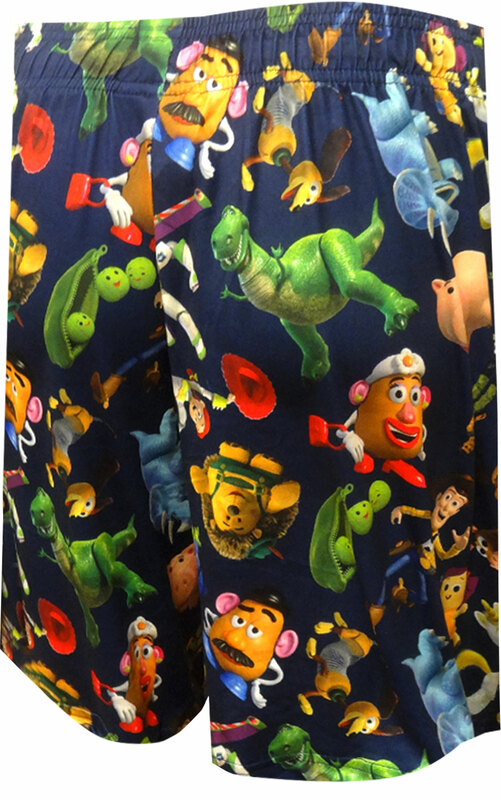 Description: These lounge shorts for men feature Buzz Lightyear, Woody, Rex, and all the fun toy characters from Disney Pixar's award winning, animated Toy Story Movie series in a colorful collage. 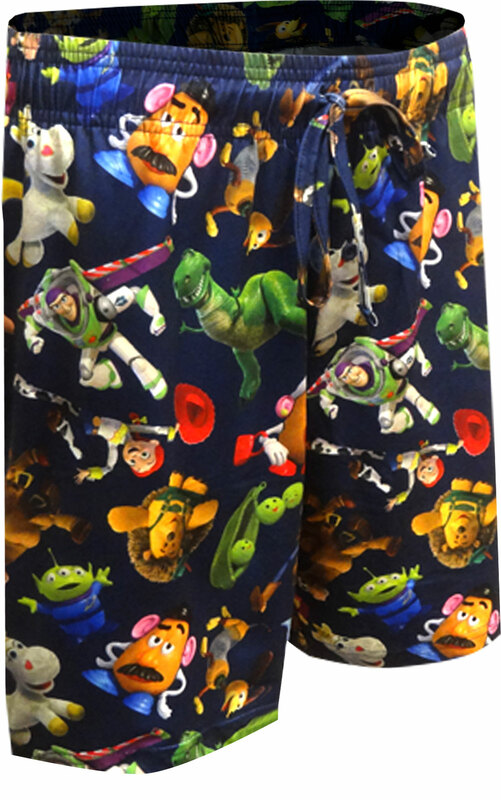 Machine washable with button fly and covered elastic waistband with drawstring tie. These are made from comfort performance fabric and have pockets.